I visited the ruins of the sacred Delphic Oracle a few years ago. It is a truly beautiful place hidden between magnificent surroundings. 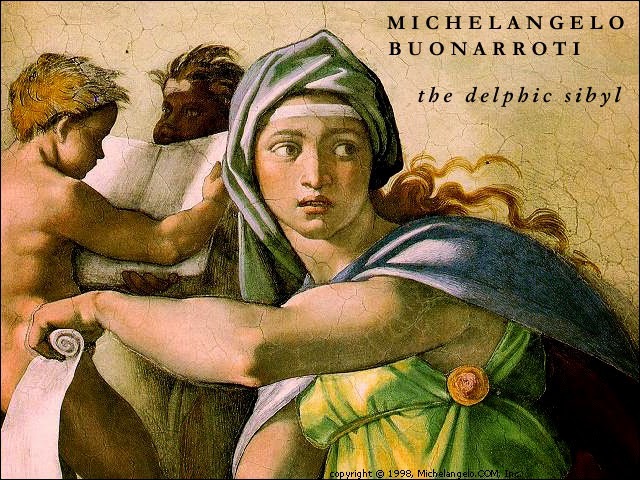 Since then, intrigued by all the mysteries surrounding these Classical ruins, I have been looking for a short but relatively complete introduction to what the Delphic Oracle was all about. I found what I needed in W.J. Broad’s “The Delphic Oracle”. William J. Broad is a science journalist and senior writer at The New York Times. He is a Pulitzer Prize winner and has also been celebrated with an Emmy and DuPont Award. His book is a slim, popular – scientific, overview of the history of the Oracle since the earliest times, around 1000 BC until it’s destruction by the Christian punks of Saint Constantine. It also describes the exhumation of the ruins, nearly 20 centuries later, in 1893 , by the members of the French Archeological School and how these people were disappointed not to find the legendary crack, described by Plutarch, in the floor of the holiest of holies. Through that crack, as one well knows, intoxicating fumes (the holy pneuma) would dizzy the Sybil, who would then utter oracular words that the God Apollo spoke through her. The core of Broad’s book however relates how two scientist, geologist Jelle de Boer ( a specialist in plate tectonic ) and archeologist John Hale, search for and do find the chasm, the geological fault that runs under Apollo’s temple and through which indeed a hallucinogenic vapor, ethylene, a sweet smelling anesthetic that produces euphoria and excites the nervous system, emanated in the heydays of the Oracle. It is a captivating story in the “Indiana Jones” style and very interesting to see what new insights develop when two scientists, specialists in different fields, work together. What I did not understand is why Broad in the last chapter of his book starts a rant against scientific reductionism, the position which holds that a complex phenomena, like the Oracle, can be explained in terms of scientific causality. It is as Broad is scared of having “debunked” the Delphic Myth for us and that for this sin the Chtonic Python would come after him. So much for a scientific journalist !